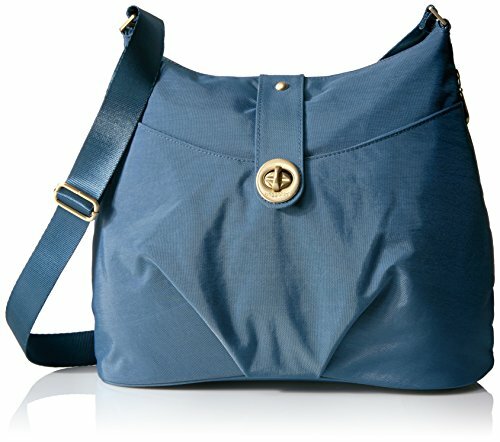 Baggallini Helsinki Bagg, Slate Blue | Accessorising - Brand Name / Designer Handbags For Carry & Wear... Share If You Care! Keep the perfect balance of well-traveled and well-dressed with the casual assistance of the Baggallini® Helsinki Bagg. Handbag made of lightweight nylon. Secure top-zip closure. Adjustable crossbody strap. Front tab with twist-lock detail. Exterior front slip pocket, side and back zip pockets, and rear slip pocket. Slim, flat bottom. Lined interior with back wall zip pocket, credit card slots, and organizational slip pockets. 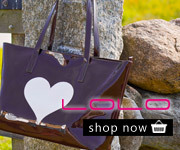 Comes with coordinating zippered pouch with detachable wrist strap. Imported. Measurements: Bottom Width: 13 in Depth: 4 in Height: 11 1⁄2 in Strap Length: 57 in Strap Drop: 28 in Weight: 1 lb 2 oz This product may have a manufacturer’s warranty. Please visit the manufacturer’s website or contact us at warranty@support.zappos.com for full manufacturer warranty details. Keep the perfect balance of well-traveled and well-dressed with the casual assistance of the Baggallini® Helsinki Bagg. Handbag made of lightweight nylon.